Homes in Krum, TX were on the market for about 58 days in January, 20 days in February and 11 days in March. The median sales price increased in February then decreased slightly at the end of the quarter. 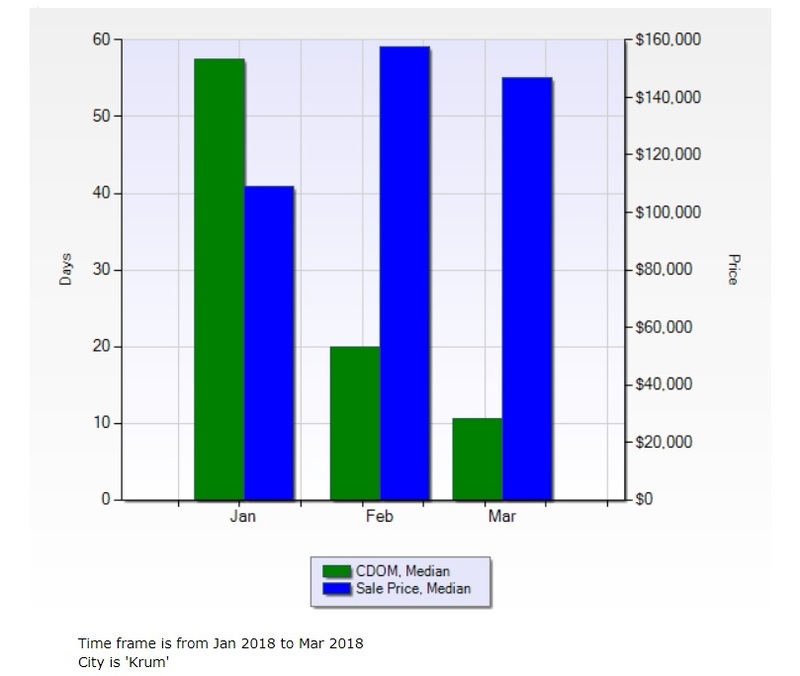 In January the median price of homes sold in Krum was 109,000 while the price of homes increased to 157,500 in February and then went down to 147,000 in March. Even though the prices of homes increased throughout the first quarter, the amount of time the homes were on the market decreased.